Among an abundance of misleading information, a comprehensive, cartographic overview of diesel bans and low-emission zones across 350 cities in 8 countries has finally been released. Given the amount of information on diesel bans and low- emission zones, it’s difficult for drivers to stay abreast on all the policy changes. kfzteile24, a market leader in auto parts and accessories, has compiled an up-to-date, cartographic overview of the European cities with access restrictions. The map presents the regulations in an accessible, easily-embeddable format, and offers a clear comparison between the UK and cities across Europe. The implementation of environmentally-friendly measures has left some drivers concerned they’ll be unable to access major parts of some cities. However, as the study reveals, the bans mostly affect larger vehicles like trucks and buses – newer diesel models (Euro 3 – Euro 6, created after the year 2000) are largely unaffected. The restrictions also tend to be limited to the most central, bustling streets, rather than widespread across the city. In the UK, London plans to introduce a stricter low-emission zone in April 2019, and by 2025, only emission-free vehicles will be allowed in the Greater London area. These kinds of changes are likely to sweep across European cities in the near future, and communicating these developments to the public in an accessible way is often the greatest challenge. The following overview is based on the data from UrbanAccessRegulations.eu, it outlines a few examples of vehicles already affected by low-emission zones and driving diesel bans, and those likely to be affected in the near future. Austriacurrently imposes the highest fines for violation of driving bans – up to 2,180 euros – followed by Great Britain, with up to €1,300. Italy has 100 low-emission zones, the highest in Europe, and Germany has 74. Several large cities in France, such as Marseille, Niceand Lyon will start implementing low-emission zones for trucks in 2020. Asti, Mondovi, and Acqui Termein Italy are the first European cities to have access restrictions for vehicles that aren’t environmentally friendly. Since 1 November 2007, vehicles weighing more than 5 tonnes have been banned from driving in the historic centres of the cities. By 2020, Lyon, France will implement a low-emission zone free for diesel vehicles in category Euro 3, weighing up to 3.5 tonnes, and Euro 4for heavier vehicles. They hope to increase these categories to Euro 5 and Euro 6, respectively, by 2021. London London’s Lorry Control scheme was implemented in 1985, and followed by a congestion charge on all vehicles in 2003. 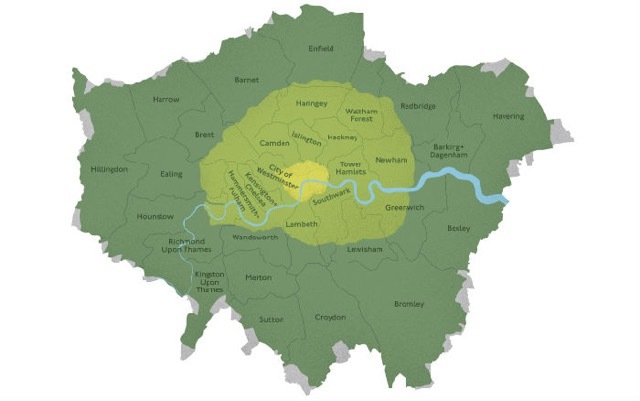 In 2019, London will be implementing the ULEZ (ultra-low-emission zone) which will extend to inner London by 2021. By January 2025, the city wants to allow only emission-free vehicles in the greater London area. Birmingham Birmingham will be implementing a low-emission zone with a toll option from 2019. Durham Durham has an access regulation scheme that charges all vehicles £2 a day to enter the historic city centre from Monday to Friday 10-16h. Exceptions are sometimes made on public holidays. Edinburgh From 2020, Edinburgh will be implementing a low-emission zone and will only remain open for diesel cars in category Euro 6 and petrol cars in Euro 4. Glasgow Glasgow implemented a low-emission zone (LEZ) on the 31 December 2018. It’s gradually being phased in and will initially only apply to local bus services. Brighton Since 2015, one street in Brighton has implemented a low-emission zone. Only public buses are affected by this. Oxford There has been a low-emission zone in Oxford since 2014. This restricts public transport buses on certain streets that are particularly busy.